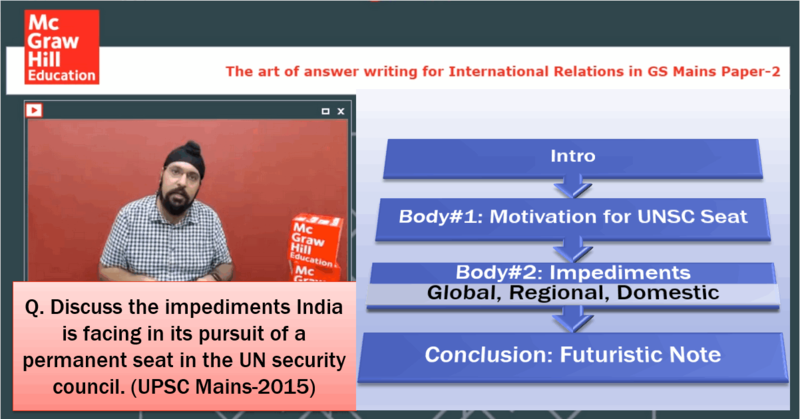 [IR By Pavneet 4/5] Art of Answer Writing- Directive Keyword#2 "DISCUSS"
Yes dear students, this is Pavneet Singh, faculty of International Relations at the Vajiram and Ravi IAS Coaching classes, and the author of the Amazon Bestseller book on International Relations for UPSC Mains. 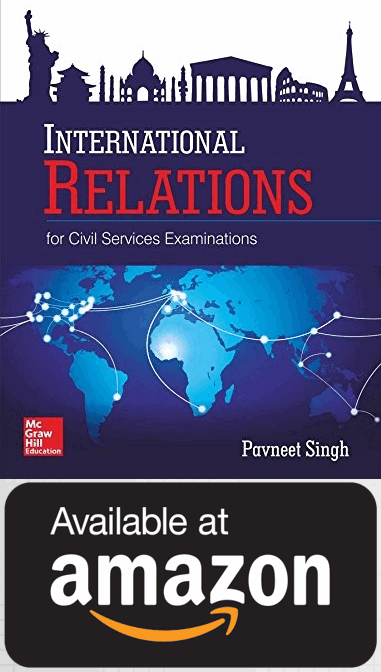 UPSC Mains IR questions have three type of directive words: ANALYSE, DISCUSS, EXAMINE. I already demonstrated the answerwriting for the first directive word “ANALYSE” in my last article. Now, the second directive word which is very frequently given is called “discuss”. Let’s take another example. In the “discuss” question: pick up the relevant issue. Select evidence to support whatever issues you know issues Use arguments, pros and cons, for and against the issue. Take the argument always towards the positive note and then conclude on a futuristic note. See this is where the difference lies. In a question of discuss, you have to basically do 2 things pick up the right issue, the relevant issue which is there in the question and use supportive evidence to explain that particular relevance of the statement there. And always when you are about to end take the entire statement towards the futuristic note. So, what is the issue here. India and a permanent seat in the UNSC and what are the impediments. So, there are 2 things here: India wants to become a UNSC member, a permanent member. There are some impediments that you have to talk about. So, now again 1st step when you write an introduction after that in your body is to make sure that you tell the examiner firstly that what is UNSC and why does India want to become a permanent of the UNSC. The primary responsibility of the UN is to maintain global peace and security, rests with the Security Council (SC). The UNSC has five permanent members namely, USA, UK, France, Russia and China. The five permanent members have special voting rights. Then, you have to discuss about India’s rising profile as global power, and its willingness to shape the international events. When you are talking about India’s willingness to shape international events and when you use the word Afghanistan. Afghanistan is actually a litmus test for India’ s regional power aspirations. Why because if India is able to provide that leadership to Afghanistan at the level of development diplomacy that we are practicing there that actually becomes spring board for India to engage with other parts of the world. So, Afghanistan is a role model. So, try to explain very briefly that how through Afghanistan as a litmus test for our regional aspiration we are actually trying to prove our global power potential. 2nd mention the case of Africa. Africa is a territory where India has a very deep advanced deep development diplomacy that clearly proves that India is interested to develop Africa that reflects that India has a global aspiration and wants to play an important global role. We had do to protect our diaspora like Sankat Mochan operation and all those things. And the neighborhood first policy which are the terms that you are trying to justify the statement that I have written in the step no.1 that how India is becoming a rising a global power. So 1st part of the body talks about what is the motivation for and what is India doing to justify that it seeks a global role. Today these 5 permanent members of the security council want to maintain a status quo. So, that is the biggest impediment because there is no motivation within them to reform and bring India there. Still, we have vocal support of 4 UNSC permanent members minus China. Although, even those 4 permanent security council members of the UN security council also believe that as of now No.1 : India’s own budgetary commitments to the UN are less and are not sufficient enough for India to become a permanent member No.1. Regional impediments now after the global level impediment is. The biggest regional impediment No.1 is that China is not willing to basically outrightly commit and support India’s candidature at the permanent membership. Why? Let’s not forget that China is the only Asian country that has a permanent security council membership tag. And if that country called China shares this tag of a permanent UNSC member with it’s own neighbor called India, it would not be comfortable in doing that. So, basically China is not comfortable in having another Asian player next to its own as a member of the security council. So, motivating China, convincing China that we deserve that membership is the biggest impediment today. If a country wants to become a member of the security council 2/3rd members of the general assembly have to vote in favour of that. So, The bigger issue is the will of all the countries in the world vote favour India. It’s very difficult, because there are other countries that also have their own aspirations, particularly, Brazil, Germany, Japan, South Africa. And then finally talk about domestic issues also which acts as impediments to our global role. So, the biggest domestic issue is basically the fact that our economic growth may have happened but it is not sustained today. We’ve to allocate large budget to the schemes for poverty, hunger, skilling and job creations. Hence, we can’t commit a very large budget to UN unlike the other permanent members. Question with the directive word “DISCUSS” should always have a conclusion with a positive note. So, when you mention these impediments don’t conclude then and there. Better write 1 or 2 lines towards pointing out the India’s rising global profile. e.g. G20 where our Prime Minister goes there makes certain suggestions the world listens to it, the world accepts it. In the G20 we advocated for action against black money in G20. Similarly, for climate change, we advocated that globally we should basically create an institutional architecture where the developed country should support technology transport to developing countries. So, that clearly points the fact that when we are present at a global forum, the world actually listens to. So, if you would have written that in your conclusion the examiner would have understood that yes you are able to conclude on a futuristic note by telling the examiner that even there are even if there are impediments: domestically, regionally, internationally plus even if we have an aspiration that you have explained earlier, our foreign policy now has started believing that we deserve the future. Question from Ankush Kumar: Do we stick to the word limits strictly? Ans. Yes! Please remember if the question is of 150 words you have to write 150 words only. Don’t consider the fact that UPSC or the examiner is a fool. I’m telling you an insider part, insider knowledge that if you have a question of 150 words and if you write 155 words, the examiner has the power to give you a full 0. Because you have exceeded the word limit be it even by 5 words. It’ better to write 145 words in a 150 answer but never write 155 words. Therefore, please, strictly stick to the word limit. So the examiner is going to count the word limit of each and every answer?